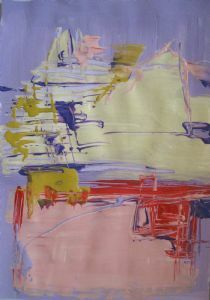 Description: Exploration of painterly structures in the post-modern era so as to identify what is relevant, possible, meaningful and essential in this period. The work of the few serious artists are an immense and long term investment. I share aspects of my aesthetic vision and ideals in my work - perennial truth and insights that are eternal, lasting, universal and permanent and expressed by all cultural practices or intersubjective discourses, for example sciences, arts, music, philosophy, spirituality, etc.